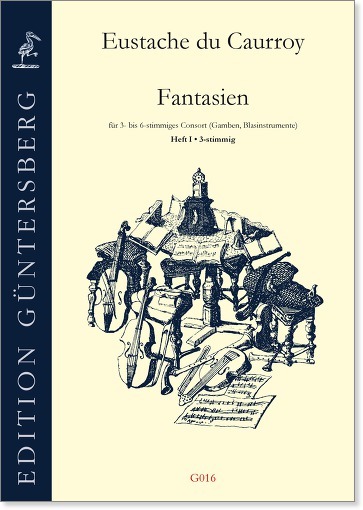 The fantasias by Eustache du Caurroy are recognized as being the first important French polyphonic compositions written specifically for an instrumental consort. Although originally intended to be played on viols, the pieces are also very well suited for wind instruments and especially for broken consort . Our edition is divided in 7 volumes. 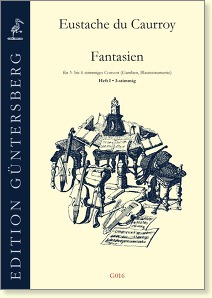 Each volume contains score and all parts. The middle parts are notated in both, alto and (octavated) treble clef.